While doing decoration or renovation of property like home, office everyone wants to be best. But doing interior is not easy task for that you have deep knowledge of interior. Everybody thinks that hiring professional interior designer take more cost which goes out of budget. But this is not real fact & don’t worry about budget because kams designer Zone comes to help you which is the best interior designer in Hadapsar. Interior designers have an art they know who to do adjustment of each and every space & make it more specious that things we don’t do. Everyone deserve beautiful and dream home & for that we use innovative and creative ideas. If you give wooden touch to your interior then it gives classy look & look something different because our mind and soul is easily attracted by natural beauties of wooden creativity like garden, houses, bridges and ships etc. Interior Designers knows very well how to increase creativity and attractiveness of home or office by using wooden materials. 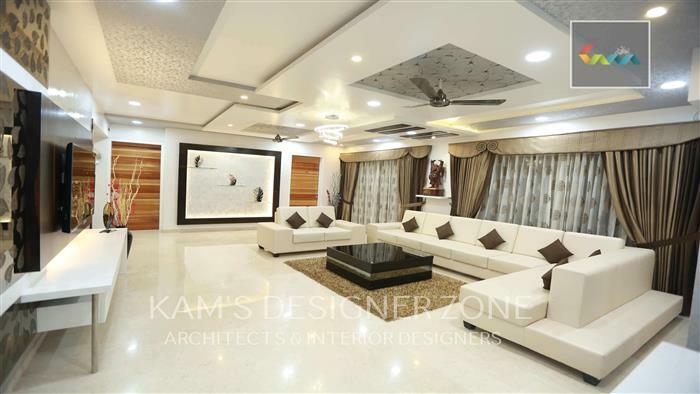 From last 10+ years we are working as successful Interior Designer in Pune. Now a day’s wood is on high demand in interior designing, because of its lots of advantages. Cost Effective: Are you worried about budget while doing interior designing then you can go for wooden furniture & also it give traditional look to your property. Use of wooden material while doing interior reduces heating and cooling expenses. Improve health and Mood: Wood store carbon dioxide in Environment and giving high contribution in air fresh. It is an another advantage of wooden furniture. Durable: Wood has high durability than other interior material. Home and commercial wooden interior can have hundreds of years life. Structurally very strong: It is always beneficial to use wooden material in interior, which is stronger than steel and glass..